Are you considering becoming a foster parent, but you’re not quite sure if it really is the path for you? We understand your hesitation, and although Pennsylvania is always in need of more fantastic foster families, fostering is not necessarily the right fit for everyone. Providing a stable and loving home for a child in need is truly a great thing, but be sure to ask yourself the following questions first to help you decide if you’d make a good foster care parent. Can I provide well for another child? Perhaps one of the most important questions to ask is this one. Do you have the resources and the financial stability to bring another person into your household? The last thing the foster system wants is to place a child with a family and for him or her to continue to struggle from a lack of resources. 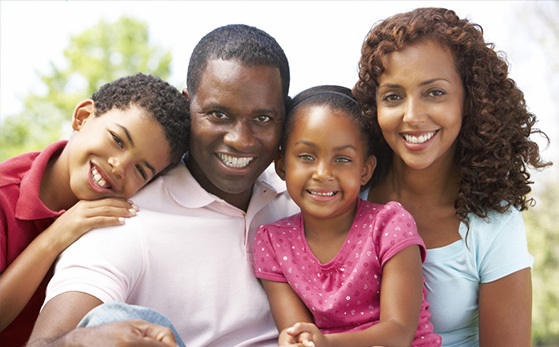 You can visit this page to view the residence requirements for foster families in the state of Pennsylvania. How will fostering affect my household? Fostering can provide your family unit with a number of benefits, as we discussed in our blog post about how fostering will affect your family, such as learning compassion and what creates the bonds of family. However, bringing a child from the foster system into your home will put new stress on your household. Consider the feelings of everyone in your family, including your other children. If someone in your household is uncomfortable with the prospect of becoming a foster family, discuss his or her concerns with the family. You may even share the same unease and be able to help each other overcome any nerves. Why do I want to become a foster parent? Some may hesitate to posit that there are right and wrong reasons to become a foster parent, but there are certain reasons that could result in ultimately unsuccessful placements, which is not good for the foster parent or the child. An example of a inadvisable reason to consider becoming a foster parent is to become happier. The idea that adding a child to the mix will bring happiness is a well-known faux pas among struggling relationships, and it’s important not to make this mistake in deciding to foster. It’s simply not fair to the child, and it’s not fair to you. So, how do you know if your reasons are the “right” reasons? You can identify a “right” reason to become a foster parent if it doesn’t relate back to intense personal feelings, such as needing to be a rescuer or wanting the child to fill some sort of emotional gap in your life or household. Your reason to become a foster parent should relate to a desire to become a positive influence in a child’s life, that desire to expand the love within your own family into another family. Am I the right kind of person to become a foster parent? Some people just aren’t cut out to be foster parents, and there’s nothing wrong with that. It’ll just be easier to realize this before you decide to foster rather after. Consider the following character/personality traits that make a good foster parent, and ask yourself honestly whether or not you have them. An effective foster parent who positively influences the children in his or her care must be patient. The last thing a child in foster care needs is more adults losing their tempers. A child entering your care is walking into a new situation, too. Be patient with him or her, and be patient with yourself. A Tip on Patience – Be patient with how the child is feeling. It may take a while before he or she feels completely comfortable in your home. As a foster parent, you will be expected to communicate with a variety of people from the child him or herself to the foster care agency and case manager, as well as the child’s biological family, so being able to communicate effectively is key. A Tip on Communication – When communicating rules/boundaries, present the rule, the reason for the rule, and the consequences of breaking it. Sometimes, as a parent, you just have to laugh it off. By keeping your sense of humor intact, you’ll be more likely to respond constructively to misbehavior, and you’ll reduce both your stress levels as well as the stress levels of the child in your care. A Tip on Humor – A full belly laugh releases physical tension and stress, and a shared laugh is the fastest way out of a tense moment. So, how do you feel about becoming a foster parent? Do you think you’d be a good fit to provide a loving home for a foster care child? Contact Family Care For Children & Youth to get started.